The Bassey Blog has been reliably informed that the planned 3 CD set ‘Shirley’ due for release to celebrate Dame Shirley’s 75th Birthday is to be issued. Dame Shirley has now approved the whole set. Although no date has been announced it will probably be around June when it is available. Everything will be the same as originally intended with 2 CDs containing studio tracks and the 3rd CD a complete ‘live’ recording of the 1973 concert from the Royal Albert Hall. Unreleased and tracks new to CD are included and this will be a terrific set for fans. ‘Runaway’ is a welcome addition to CD availability and also the Italian version of ‘Diamonds Are Forever’. The set has been remastered by Richard Moore and hearing some of Richard’s previous work (particularly with Matt Monro tracks) then I’m sure the sound quality will be first class. The project was masterminded by Martyn Daye. I know both Martyn and Richard put a lot of work into this project and we owe them a big thank you. A very special big thank you must go to Dame Shirley for approving it’s release. I am certainly looking forward to getting this set. I particularly love many of the tracks that have been chosen for it. I’ve listened to some of the unreleased songs sung by other artists and imagined how they will be interpretated by Shirley. Hopefully it will not be too long before I find out. Let’s make this release a great success and celebrate Dame Shirley’s long and hugely successful career. I’m sure fans will welcome this great news. Thankyou, They are sure to give TV air time to promote to the larger public ! WOW! This is fantastic news. Thanks for sharing! Thanks very much, Dame Shirley. Great news.I knew this was going to happen. Cannot wait to hear the new tracks. Great! – something to look forward to. OMG…..2012 will be a good year after all, thanks to the Dame. I am so proud of Dame Shirley. I am sure it is on Dame Shirley’s terms now. Good for her, and good for us! Thanks for the news! I look forward to it! I thought it would be released at some point, I’m so glad it’s now approved, but you don’t need to be einstein to figure out why, shirley will be appearing at THE diamond jubilee concert in June, and this release will go hand in hand with that, so its a good move for her to make. Excellent a win win situation! I love her more than ever, thank you for telling us about it, Great news! David, this is really great news, thanks so much for sharing it!!! And a big thank you to Dame Shirley for allowing the set to be released. I am sure it will demonstrate once again why she is, and has been for so long, the greatest entertainer in the world and the UK’s biggest, best and really only true ‘star’ in the old sense of the word. Hopefully, it will also only be the start of getting other gems released so full justice can be done to her magnificent legacy. THANKS FOR WORKING IT ALL OUT FOLKS. AFTER ALL THIS ISN’T JUST ANY POP DIVA/ SINGER- IT’S THE GREATEST FEMALE SINGER, SHIRLEY BASSEY! Interesting to see that Cilla Black is having a retrospective of her career comprising 139 hits (not my words!!!!!!) issued soon on CD, plus a DVD of her BBC shows. I would have preferred the television recording of the RAH concert but it may well be the start of things to come, especially with her own diamond ‘jubilee’ in 2013. `SO WONDERFUL, SO MARVELOUS`! This is excellent news. Shirley must be very happy with the finished product and if this album has wide coverage coinciding with the huhwe audience watching `THE DIAMOND JUBILEE` then iy will be a wonderful time for her. I was at the 2 performances at the ROYAL ALBERT HALL in 1973 ( 2 shows a night in those days, although the act was a bit shorter)I am so hoping to be lucky in the ballot for the DIAMOND JUBILEE concert, it will be almost 40 years (to the month when I first saw Shirley at the Albert hall IN 1972. i am thinking, if succesfull of offering the other ticket to a blogger. 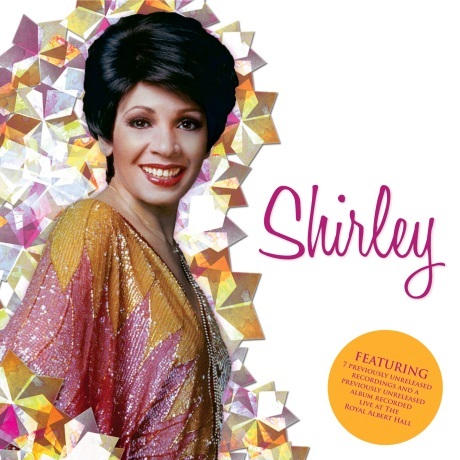 Thank you Dame Shirley and everyone at EMI involved in this release…..I for one cannot wait! iI am so Happy to know about this release. I only hope it will also be available to the fans in Canada! We miss so much over here! Let’s hope that it’s in SACD / hybrid format so we can enjoy it the way it was intended: super stereo wall of sound style. Paul, isn’t SACD something of the past..? Is there still no news on a release date for this great collection? Great news but what label is issueing this treat for us fans??? Michael a huge fan since the fifties. Since Capitol has blocked this release due to the live disc, why doesn’t EMI Gold just release it as a 2-disc set? That way, we can still get the rare and unreleased songs. Yet another mess on a Bassey release………another example of how the record companies are killing the record industry. Capitol Records is according to company records: A wholly owned subsidiary of EMI……both are owned by Universal records so how can they block this release? What about the Show of The Week programme that Dame Shirley recorded for the BBC and shown Feb 1966 being released by EMI as they now doing this type of thing for other artists ! Tapes for the show still exist as a clip was on a recent BBC4 show ! !